San Diego Expiring Green Card Lawyer by Habib Hasbini, Attorney at Law. The U.S. Green Card is an official document issued by United States Citizenship and Immigration Services which serves as evidence that you have been granted permanent residency in the U.S. It is called the “Green Card” because the original document issued by the immigration service was green. Over the years, the card has gone through a variety of color changes, including pink, but it is now green again. It is officially called an “I-551 Permanent Resident Card”. To improve document security and keep tabs on immigrants who have been engaged in criminal activity, the U.S. immigrant service in 1989 began issuing green cards with a 10 year expiration date. As your expiration date approaches, the law requires that apply to renew your card on a USCIS Form I-90 Application to Replace Permanent Resident Card. If you lose your green card, the law also requires you to file an I-90 to replace your I-551 card. Applying to renew or replace your green card is normally a straightforward process. 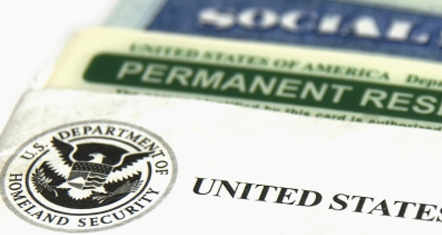 However, if you have been convicted of a crime, what should have been an easy application can be extremely dangerous for your permanent resident status and might lead to deportation from the U.S. To renew or replace a green card, applicants are required to submit to biometrics (fingerprinting) and a criminal background check. If the criminal background check comes back with convictions or arrests, USCIS will request that you turn in certified conviction records. Once the immigration service obtains the records, whether through the immigrant or on its own, it then decides whether you are deportable and should be placed in front of an immigration judge for removal proceedings. For assistance with you application, contact an immigration defense attorney in San Diego. Immigration Lawyers at the Law Offices of Hasbini Immigration Defense assist clients in the San Diego area with expiring Green Cards. We can help you with the renewal of your card. Our firm is always ready to assist you if you encounter any problem when you attempt to reenter the country with expired documentation. Contact a San Diego immigration defense attorney at our firm for assistance in renewing your Green Card.